Call it what you will - this dish is quick, easy, and yummy. It's family friendly, budget friendly, fridge and leftover friendly, and freezes very well. So what are we waiting for? Let's get cooking! 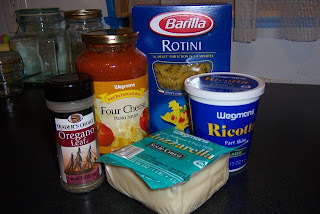 ** the sauce is the primary source of seasoning in this dish, other than the oregano. 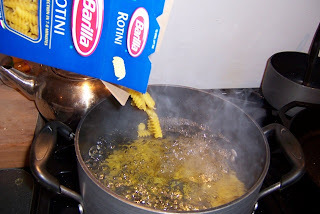 If you like garlic in your pasta dishes, I recommend a garlic based sauce rather than adding raw garlic because there is really no chance for raw garlic to get cooked and for that flavor to mellow. I was in a cheesy mood this go round, so chose the Four Cheese sauce. 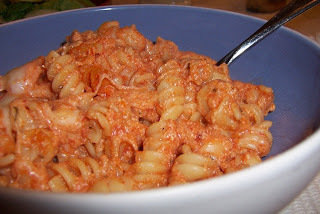 Diavolo is also a nice spicy variation. 2. 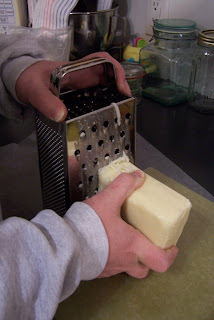 Shred the mozzarella. You could use a food processer for this, but I like doing it by hand. 3. Reserve about a 1/2 cup of the cheese for later. 4. 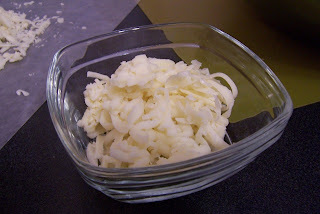 Combine the ricotta and shredded mozzarella together in a LARGE bowl. You will be mixing everything in this bowl, so give yourself some extra room. I like a stainless bowl, as the tomato sauce will stain a plastic bowl. 5. 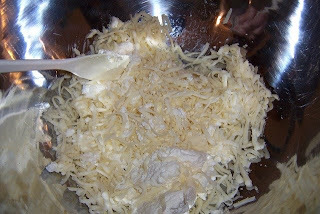 Drain the pasta and add it to the cheese mixture. Mix everything together thoroughly. 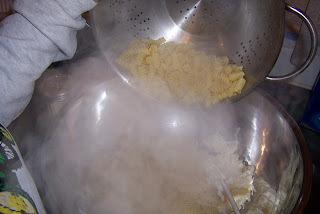 Don't give the pasta a chance to cool down -the heat of the pasta will help melt the cheeses and make everything combine more uniformly. 6. 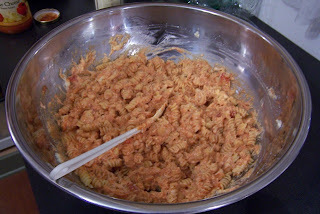 Add the jar of pasta sauce to the cheese and pasta mixture. 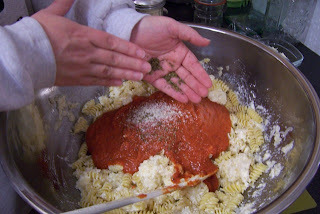 Add grated Parmesan and dried oregano to taste. **if you crush the dried oregano between your hands before adding it, it will release more of it's flavor. 7. Mix thoroughly to combine. Mixture should be on the wet and sticky side. 9. 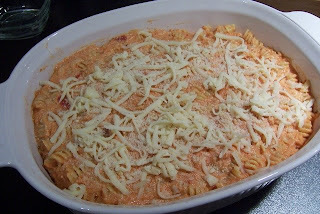 Bake at 400F for 20 minutes, or until cheese on top is bubbly and melted. 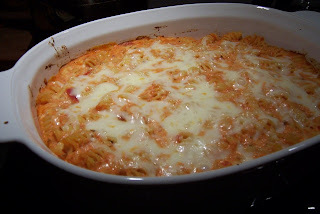 Interesting that you don't add the egg to the cheese mixture... but it sounds yummy - comfort food! Or at least one of them!